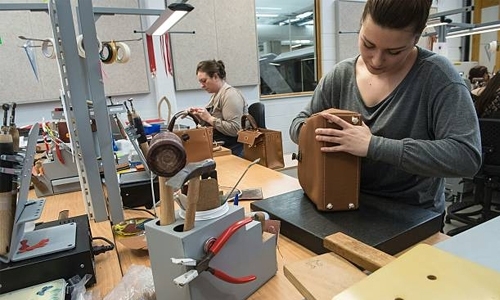 French luxury group Hermes said its sales hit a record just shy of 6 billion euros in 2018 as demand for its iconic bags continues to grow in all parts of the world and particularly in China. Hermes called the 7.5 percent increase over 2017 in “particularly healthy, being based mainly on volume” rather than currency effects, which in fact were a drag overall during the year. The consolidated sales figure of 5.966 billion euros ($6.76 billion) were slightly above the consensus of analyst estimates compiled by Factset and Bloomberg. “In an uncertain global context, I am very pleased with the success of Hermes,” chief executive Axel Dumas said in a statement, adding that the attractiveness of the company’s products enables it to pursue sustainable and responsible growth. Hermes saw its strongest growth in China and South Asian countries with a 14 percent increase when measured in constant exchange rates. Sales of its leather goods, including its bags, rose by 9.4 percent as Hermes added production capacity. The segment accounts for roughly half of the company’s sales.